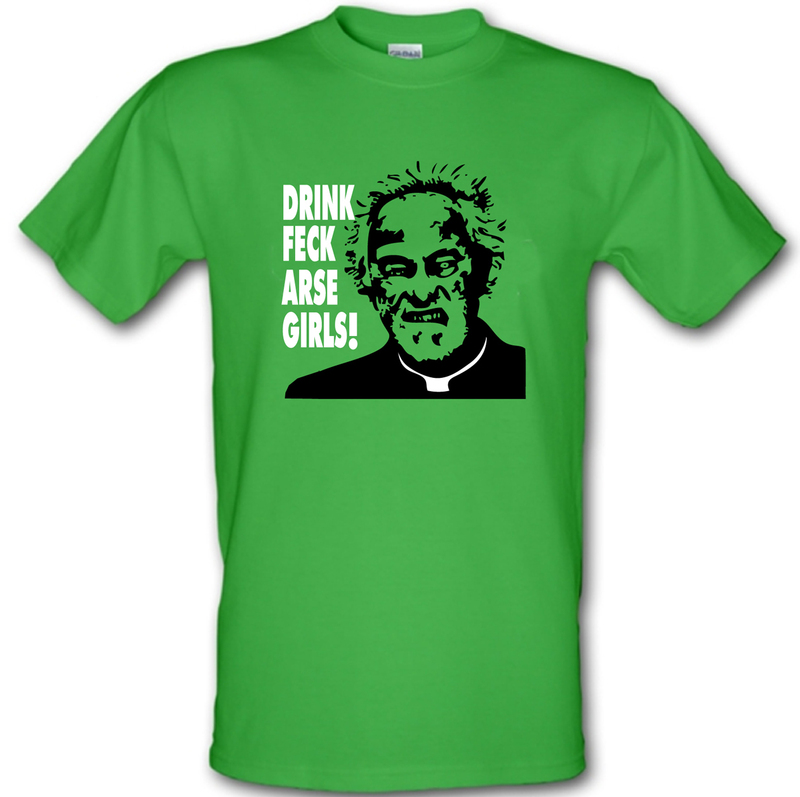 FATHER JACK- DRINK FECK ARSE GIRLS! FATHER JACK- DRINK FECK ARSE GIRLS! design professionally printed onto a Gildan Heavy Cotton t-shirt.